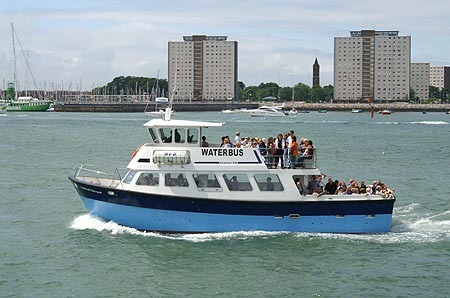 This page is devoted to photographs of the Blue Boats of Portsmouth Harbour Tours, which operated a circular waterbus service around Portsmouth Harbour calling at Old Portsmouth, Portsmouth Harbour, Gosport Submarine Museum and latterly Gunwharf Quays, plus harbour trips from the beach near Clarence Pier, Southsea. 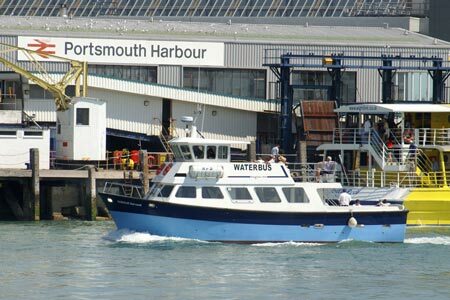 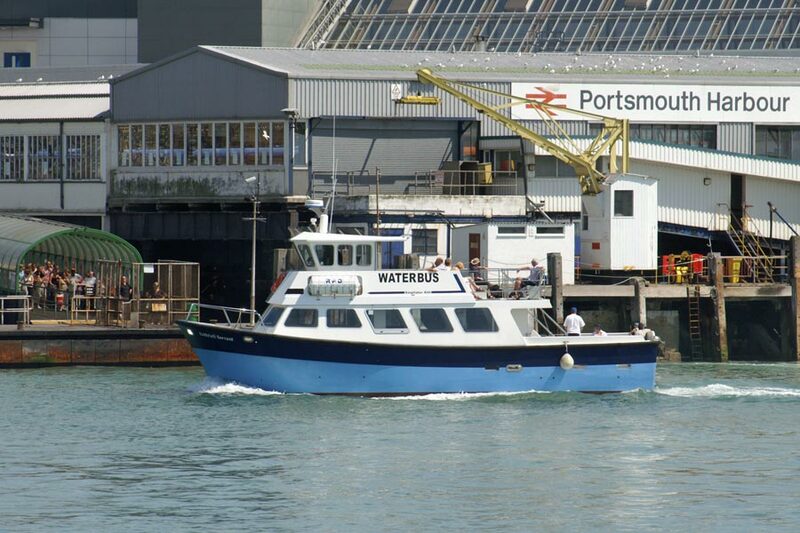 Portsmouth Harbour Tours owned no vessels, which belonged in 2005 to J.Butcher and D&P Faithfull. 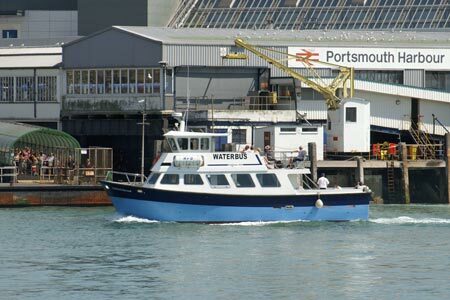 Previous partners included M&G Pearce, Bon Hope Cruises and the Gosport Ferry. 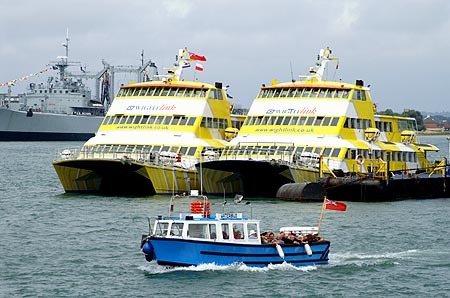 No trips operated in 2007. 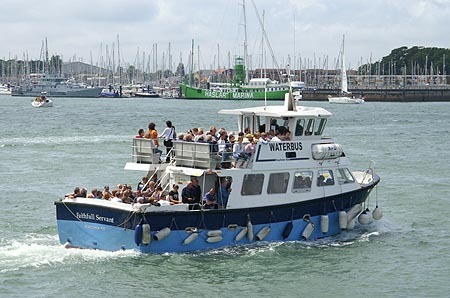 Harbour trips from the Hard restarted in 2008, but the circular trips were not restored. 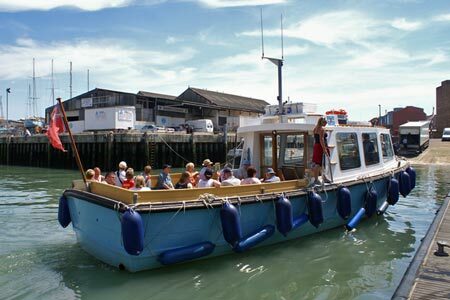 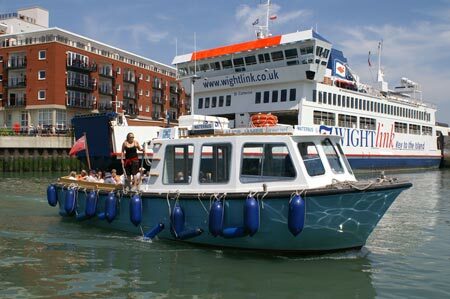 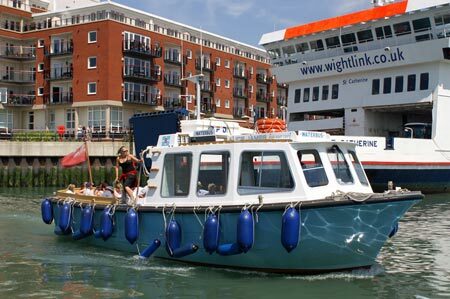 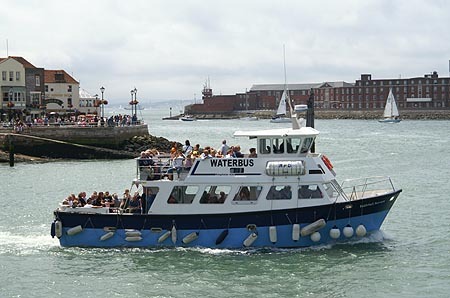 Solent & Wight Line maintained harbour trips from the Historic Dockyard and Gunwharf Quays throughout these problems using the larger Solent Cat. 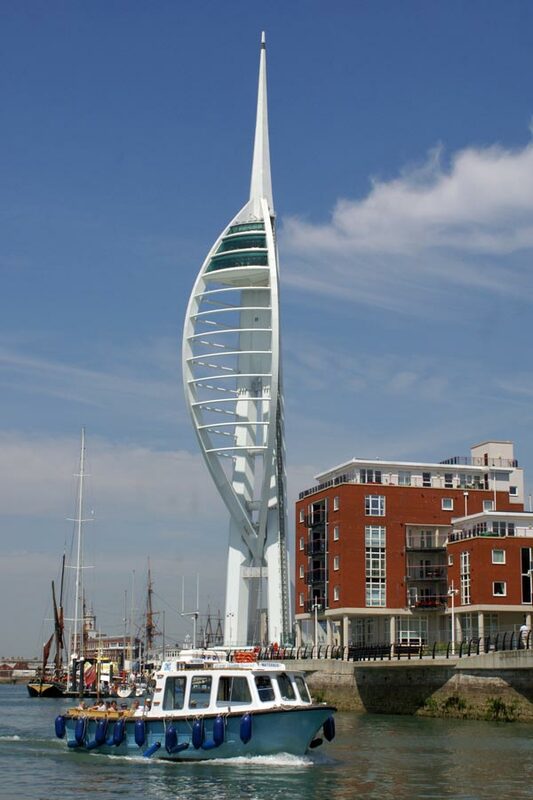 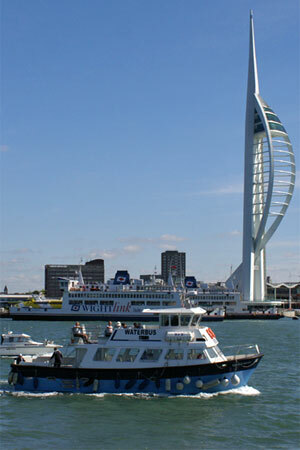 Other small Portsmouth operators are also included on this page. 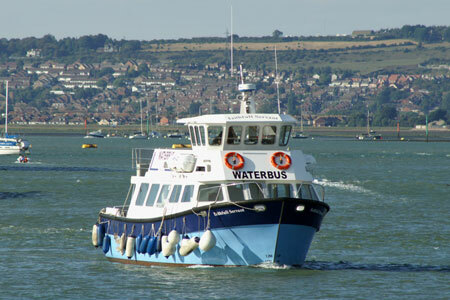 In 1977, the fleet of J.Butcher consisted of Colin James (1977), Colin Ray (1964), Gary (1969) and Paul James (1972). 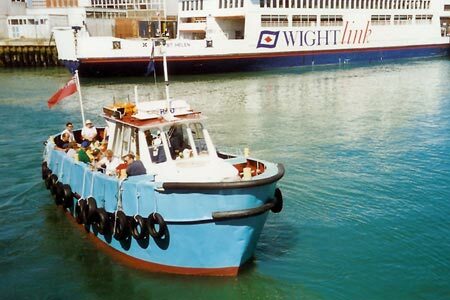 Gary had left the fleet by 1983. 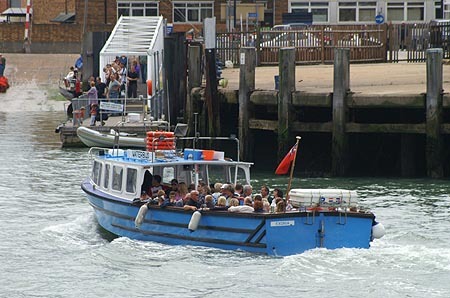 Alice James on waterbus duty during the Festival of the Sea. 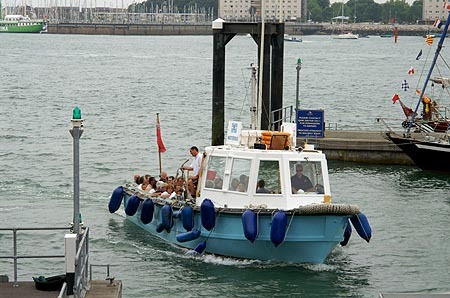 Paul James on waterbus duty during the Festival of the Sea. M.G.Pearce was operating the Southsea Belle from Portsmouth Hard by 1981. 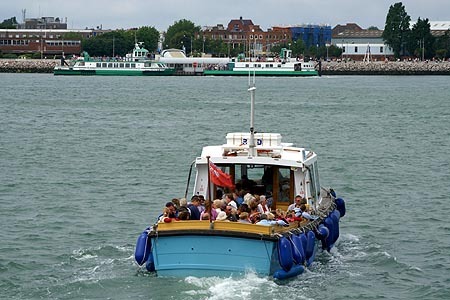 Southsea Belle was previously the Folkestone Belle and had also run on the Hayling Island Ferry. 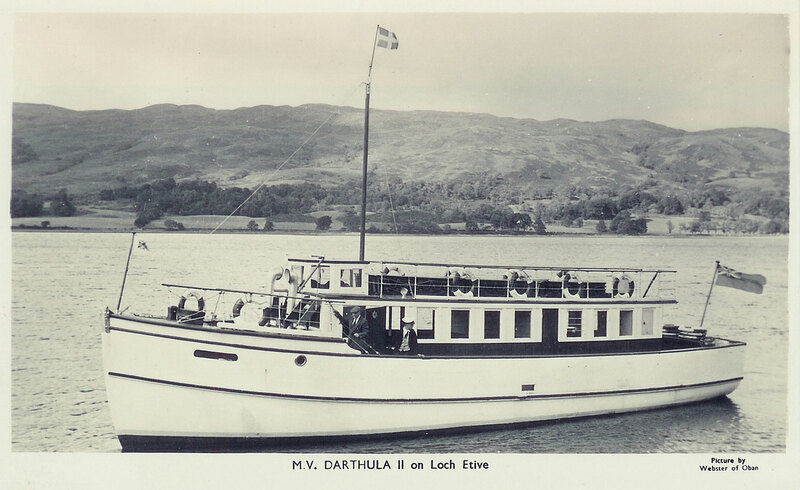 Darthula II was built in 1939 by Dickie at Tarbert (Loch Fyne) for Alexander Black of Taynuilt for use on Loch Etive between Achnacloich to Lochetivehead. 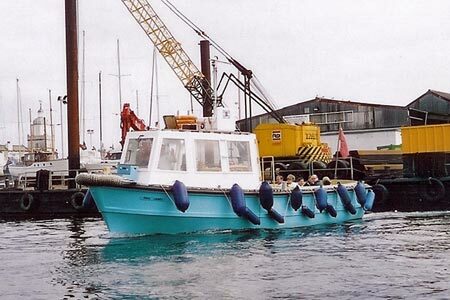 He had previously used the Euglena on the run from 1924. 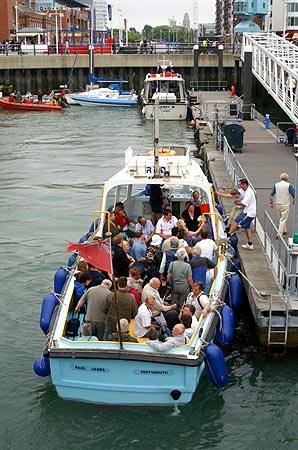 The Loch Etive Tour had run from Oban since 1877, initially using coach and horses to connect to Achnacloich from Ballachulish which had a steamer service from Oban. 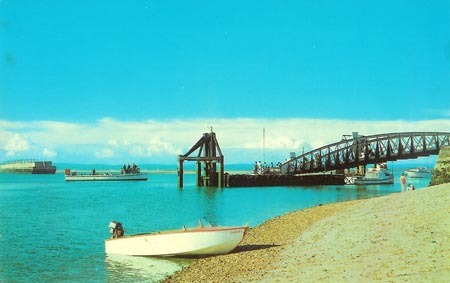 In later years the railway reached Oban with connections to Tyndrum and Ballachulish, so the coaches ran to these stations. 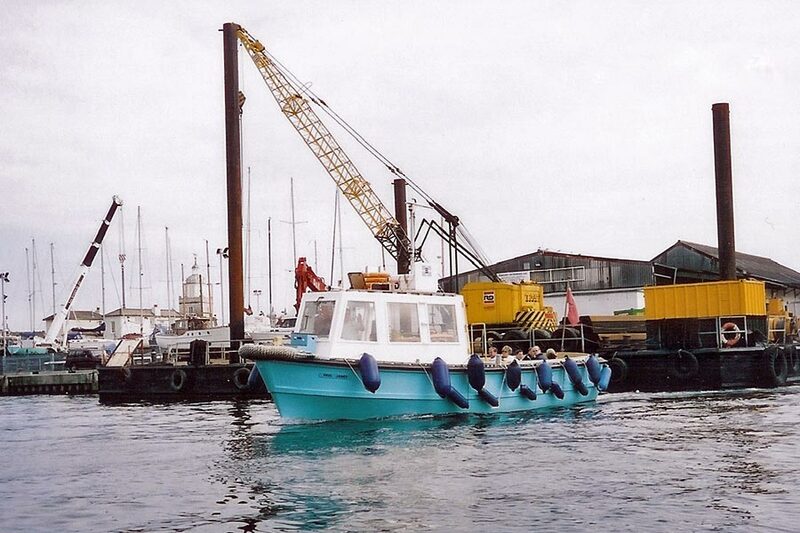 Boats used on the service before WW1 were Ben Starav (1877-1879), Glenetive (1880-c.1886), Osian (1885-1913). 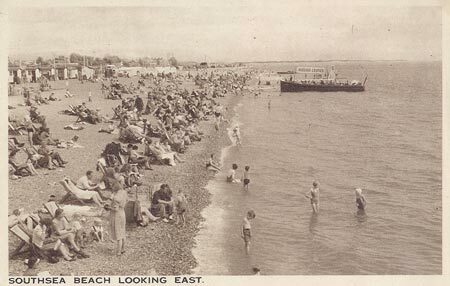 The service ceased in 1913, the provision of the coach and horses links to Ballachulish and Tyndrum stations becoming uneconomic. 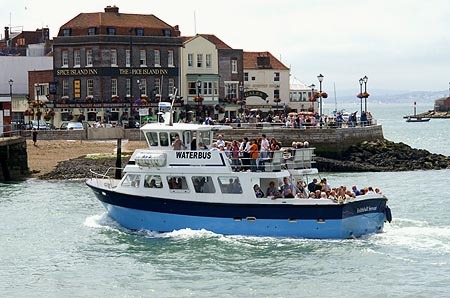 Boat services resumed in 1922 when motor charabancs were available to replace the coach connections. 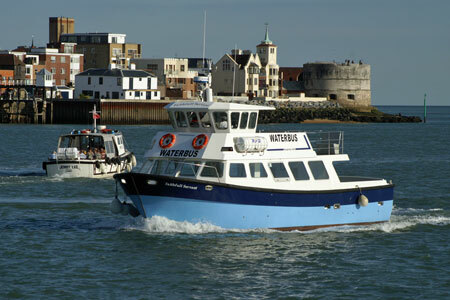 The boat used was the Jano owned by Scott and Smith. 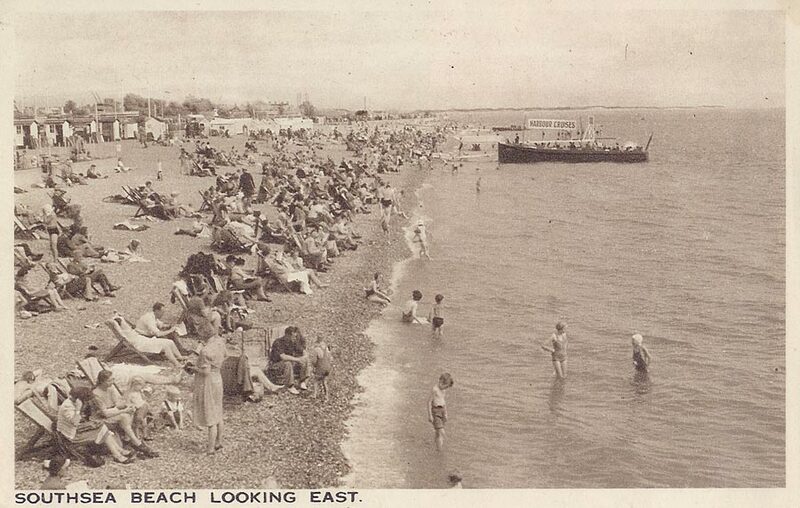 In 1923 she was replaced by the Loch Etive Queen of Donald R.McKay of Taynuilt, which ran until WW2. 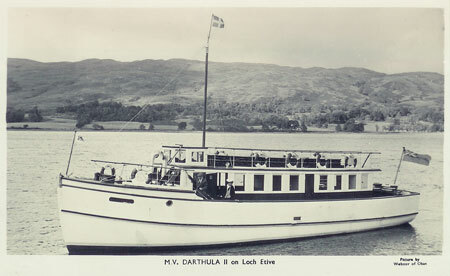 Rena and Euglena joined her on Loch Etive services in 1924. 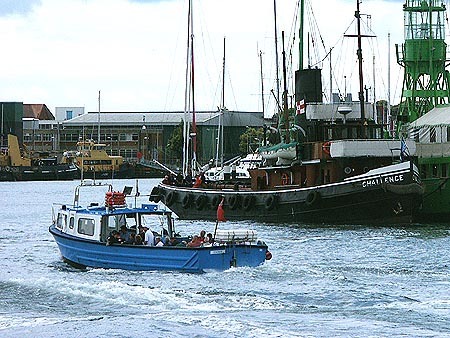 Darthula II was used by the Admiralty in WW2, returning to Loch Etive service in 1946. 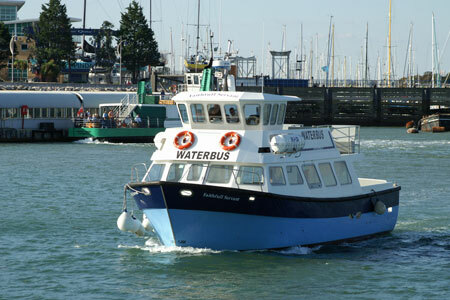 She was sold to J.H.Lynn of Dalmally, who continued running her on the same route. 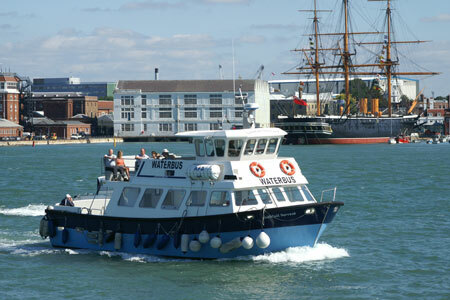 From 1962 she was owned by Loch Etive Cruises (Edward T.F.Spence). 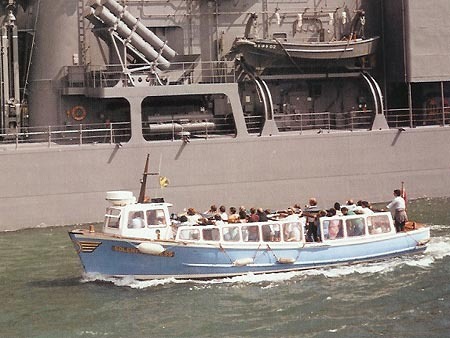 Darthula II ran on the Thames from 1964. 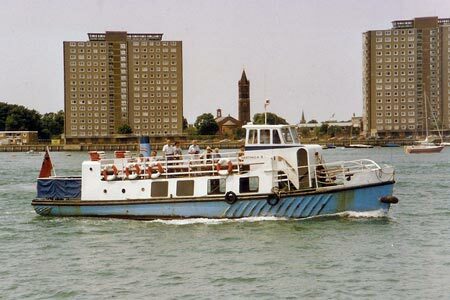 Ronald Ricketts advertised that Darthula II (65 grt, 120 passengers) would operate cruises from Erith between May and September in 1965. 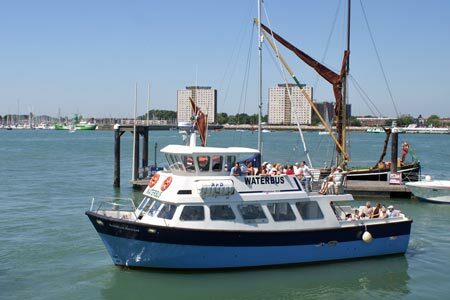 Departing at 9:00, destinations included Kew, Richmond, Tower Bridge, Southend etc. 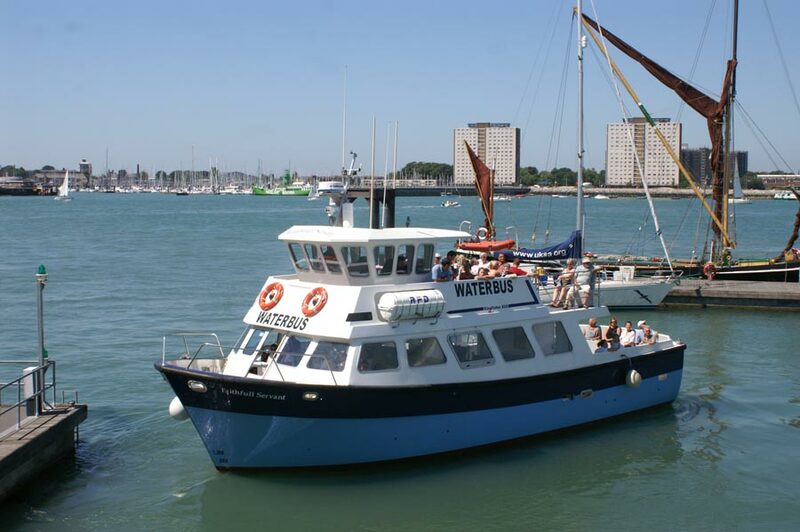 From 1964 she was owned by R.G. 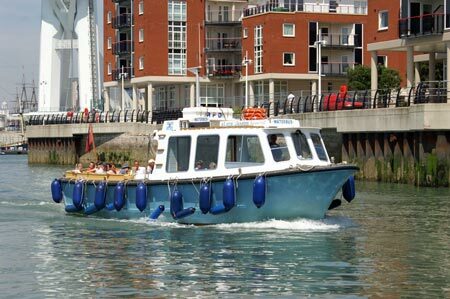 (Passenger Launches) Ltd of Bexleyheath. 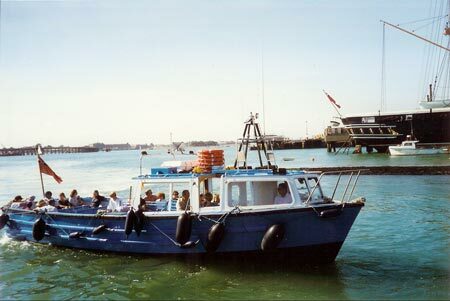 Darthula II subsequently operated for M.G.Pearce at Portsmouth, where the photos below were taken. 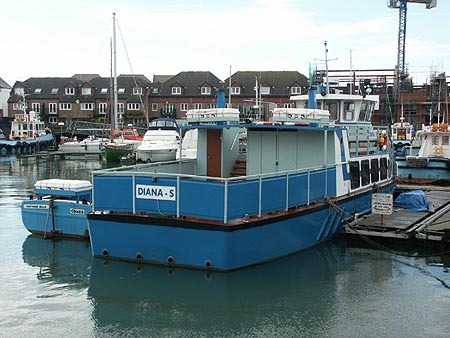 Diana-S laid up at Portsmouth during the winter. 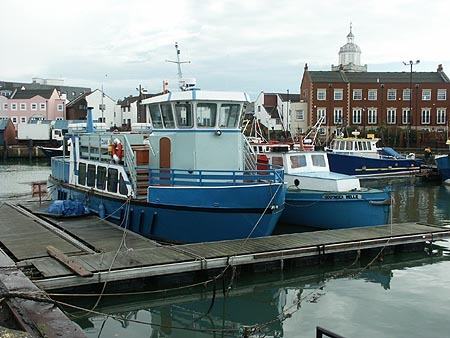 Photo: &COPY; Ian Boyle, 16th November 2002. 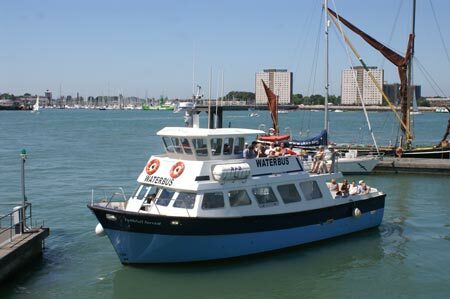 Southsea Belle had previously worked as the Folkestone Belle, used by the Spraggs in the 1950s on the Hayling ferry. Folkestone Belle also worked for Portsmouth City Council when they took over services in 1961. 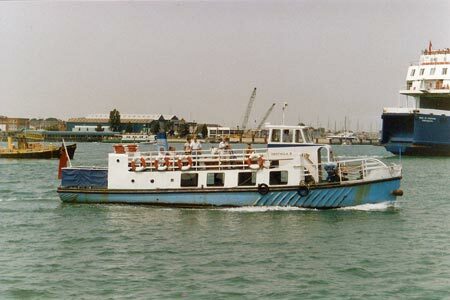 She later ran from Portsmouth for M.G.Pearce as Southsea Belle. 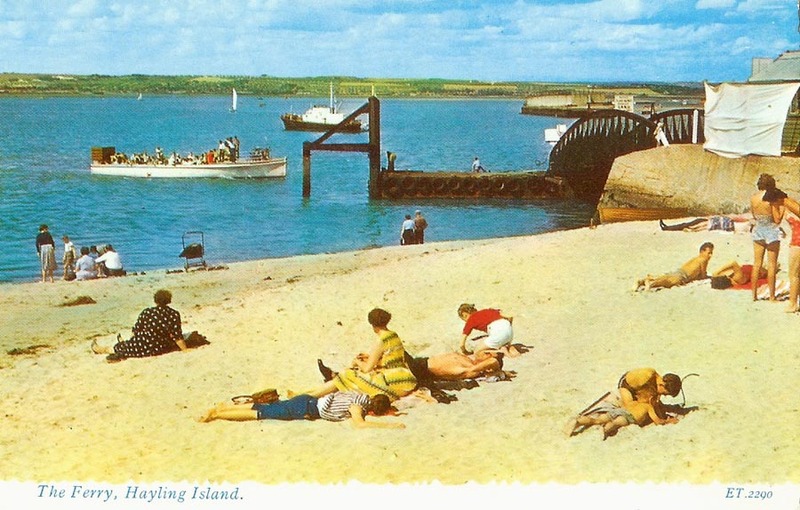 Valentine postcard of the Hayling ferry Folkestone Belle (later Southsea Belle). 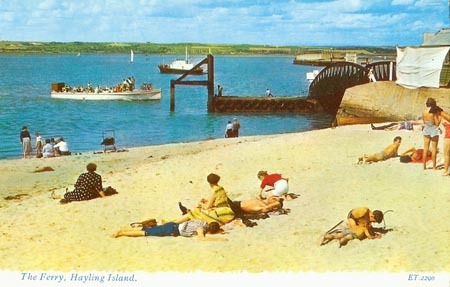 Photo Precision postcard of the Hayling ferry Folkestone Belle (later Southsea Belle). 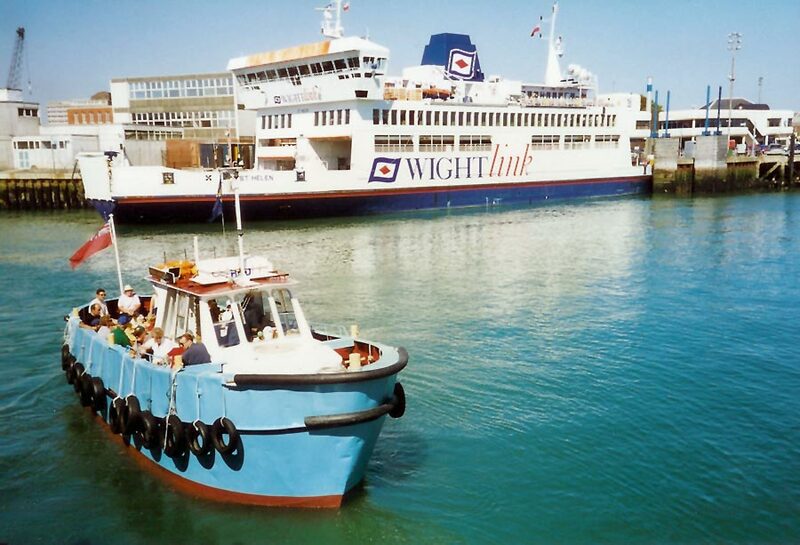 Diana-S and Southsea Belle (right) laid up at Portsmouth during the winter. 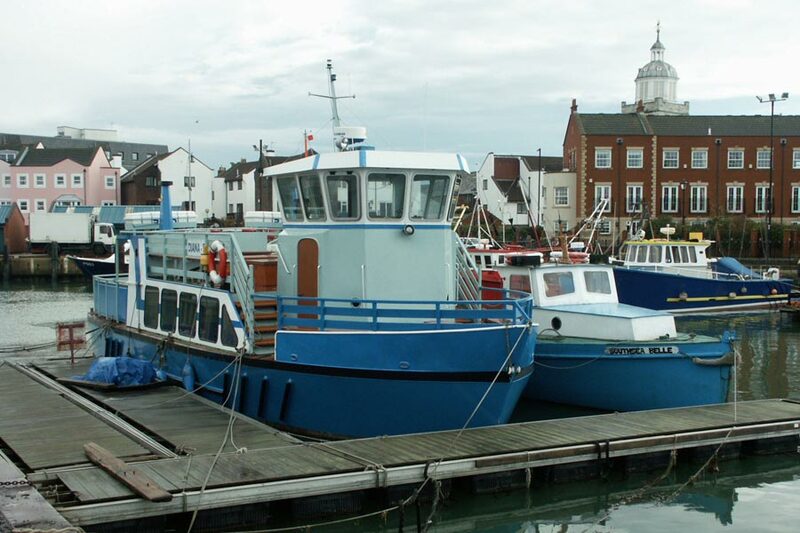 Diana-S and Southsea Belle (left) laid up at Portsmouth during the winter. 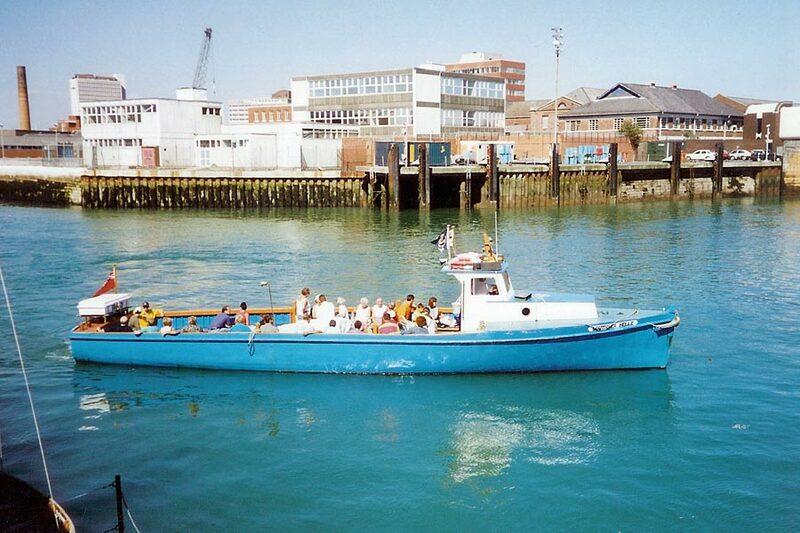 The modern fibreglass boat Exonia (2) joined Orcombe in 1976. 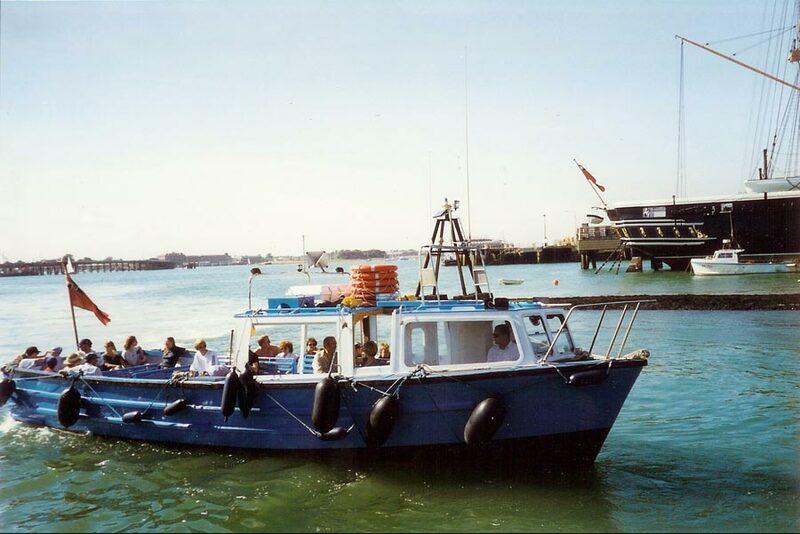 In 1983, A.Stuart took over the Starcross ferry along with Exonia (2) and Orcombe. 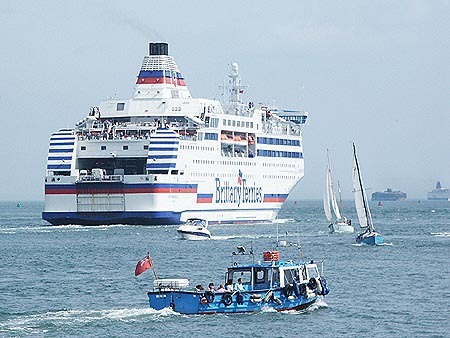 In 1987, B.B.J.Rackley took over the ferry, along with the Orcombe. 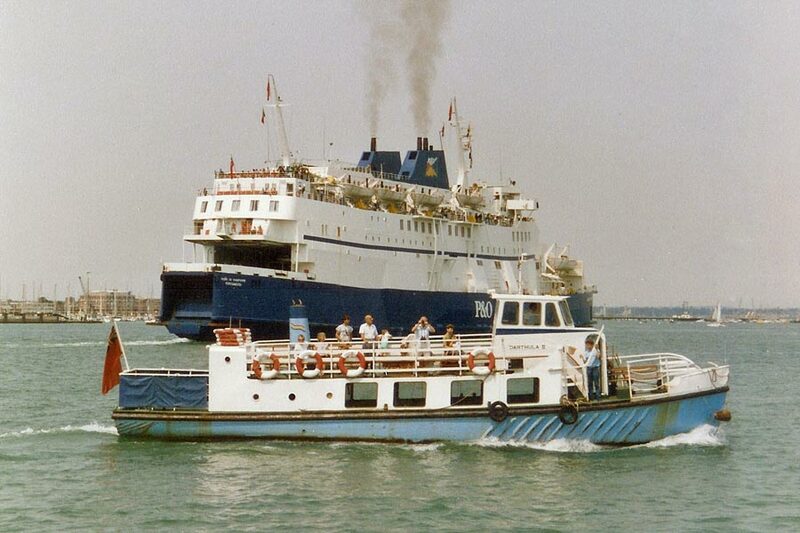 Exonia (2) remained with A.Stuart. By 1999, Exonia (2) had passed to D&P Faithfull of Portsmouth, for use on Portsmouth Harbour Tours. 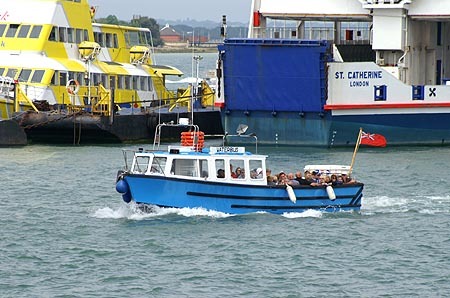 In 2010 Exonia (2) began operations with Coniston Launch as the Campbell. 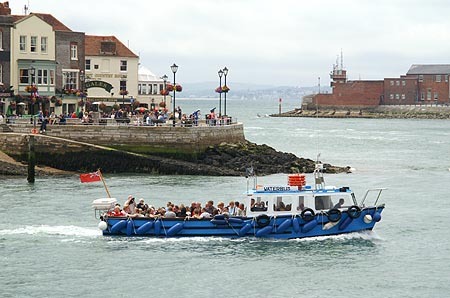 Photo: &COPY; Ian Boyle, 4th June 2004. 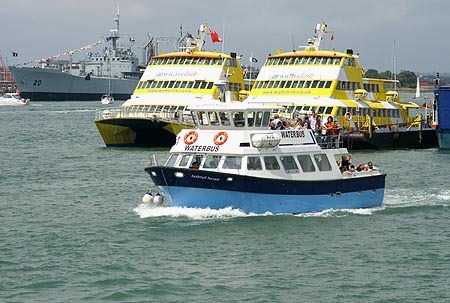 Both Normandie and Pride of Bilbao (far right) are in the background. 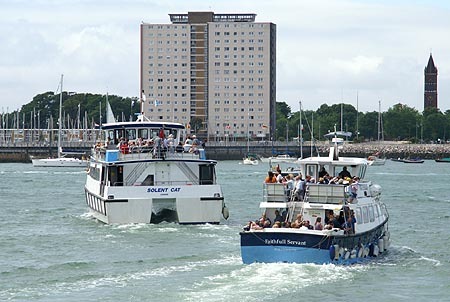 Exonia passing the steam tug Challenger, in Portsmouth for the D-Day 60th Anniversary. 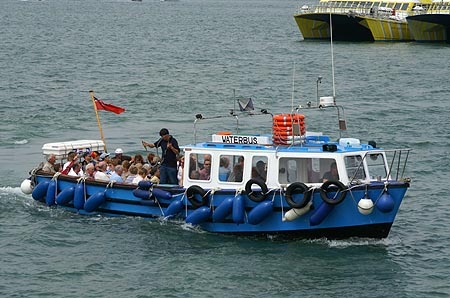 Exonia on waterbus duty during the Festival of the Sea. Faithfull Servant on waterbus duty during the Festival of the Sea. 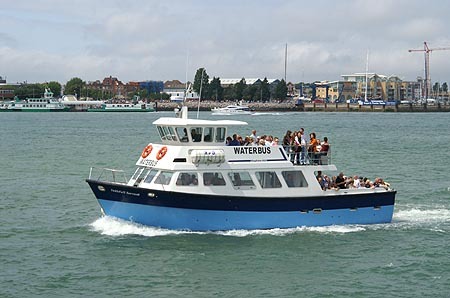 Successors to the original watermen continued to offers trips around the harbour, from the Portsea pontoon and from the beach near Clarence Pier in Southsea. 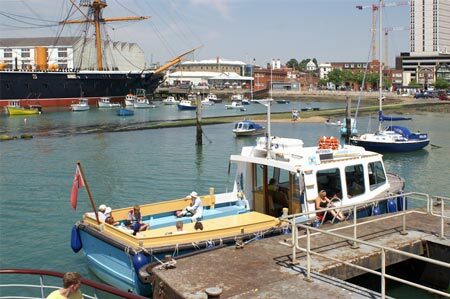 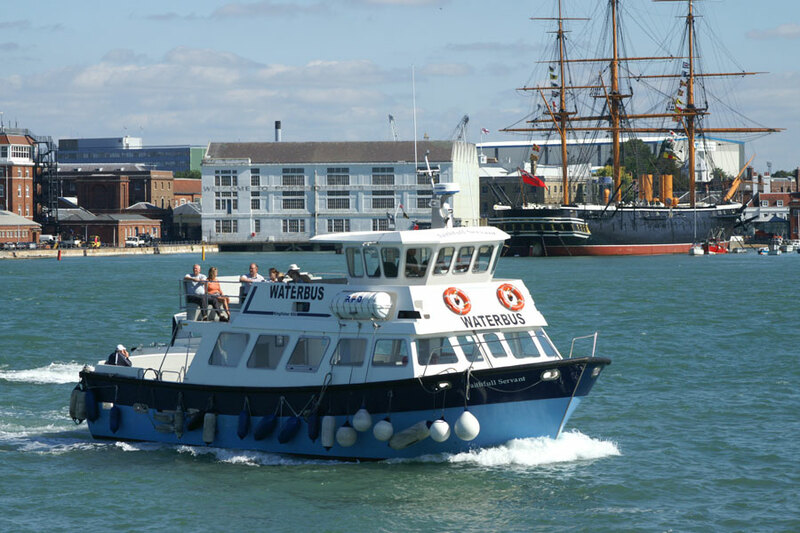 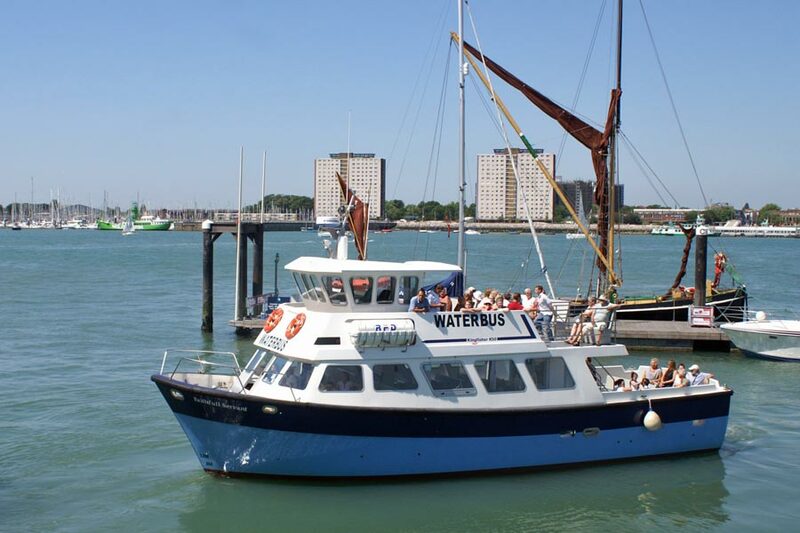 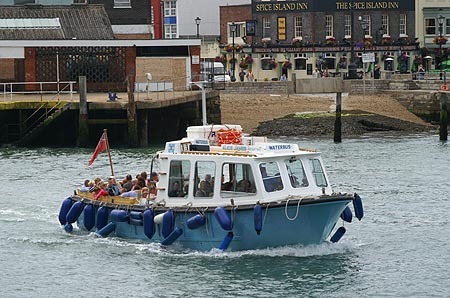 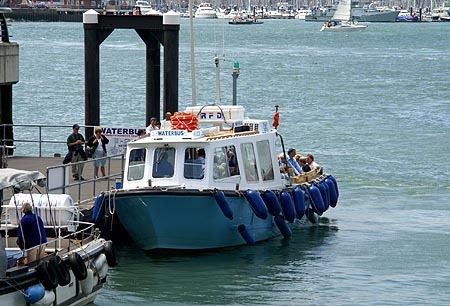 In the mid-1980s they formed Portsmouth Harbour Tours, and subsequently began operating a circular waterbus service around the attractions of Portsmouth Harbour. 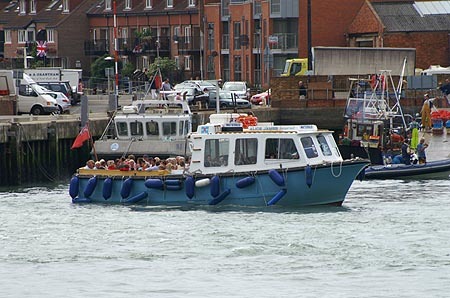 The boats remained owned by the individuals, but proceeds were shared between them proportionate to the number of boats deployed. 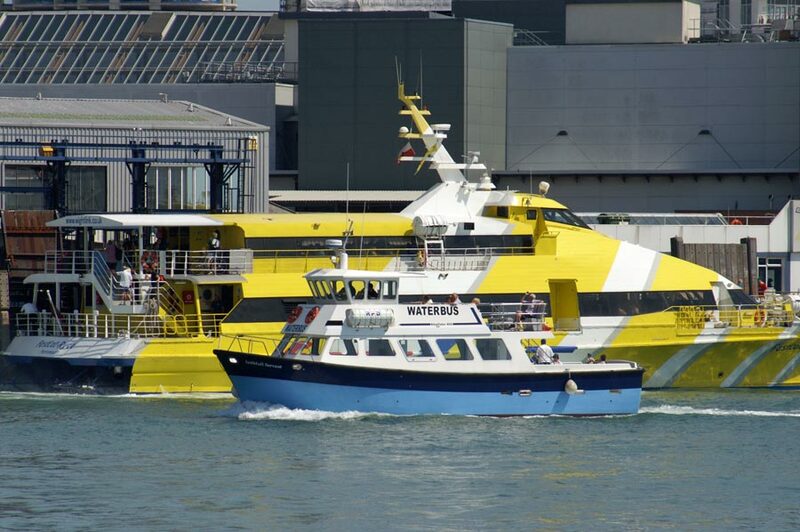 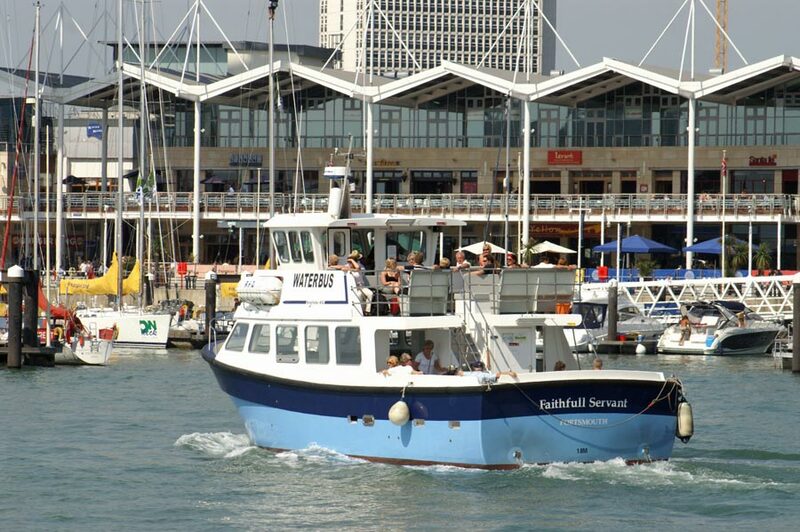 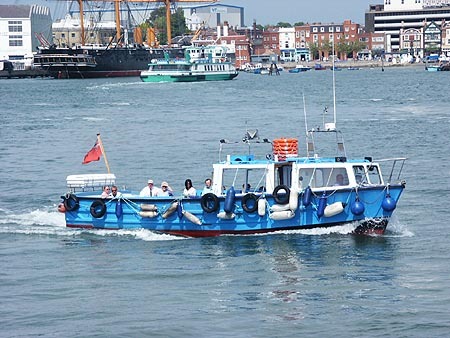 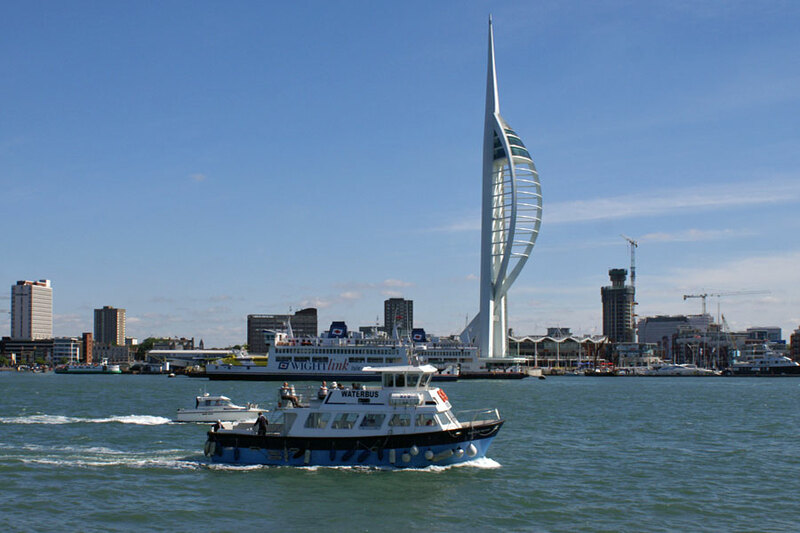 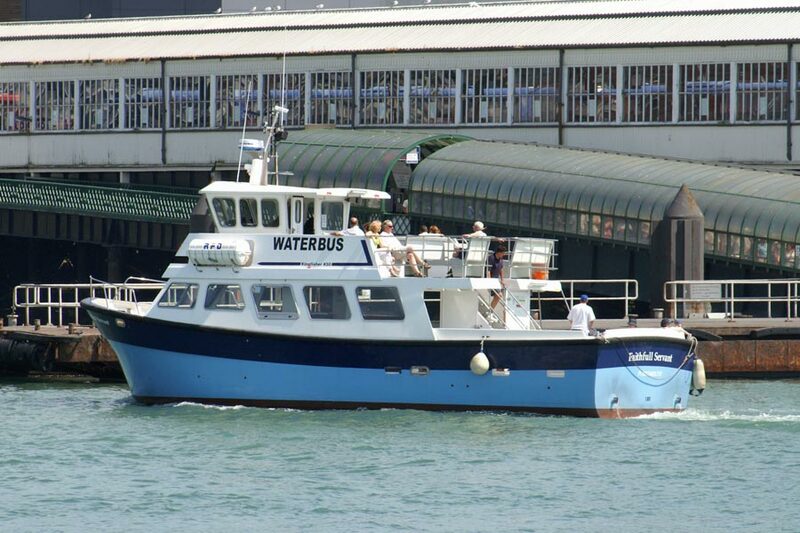 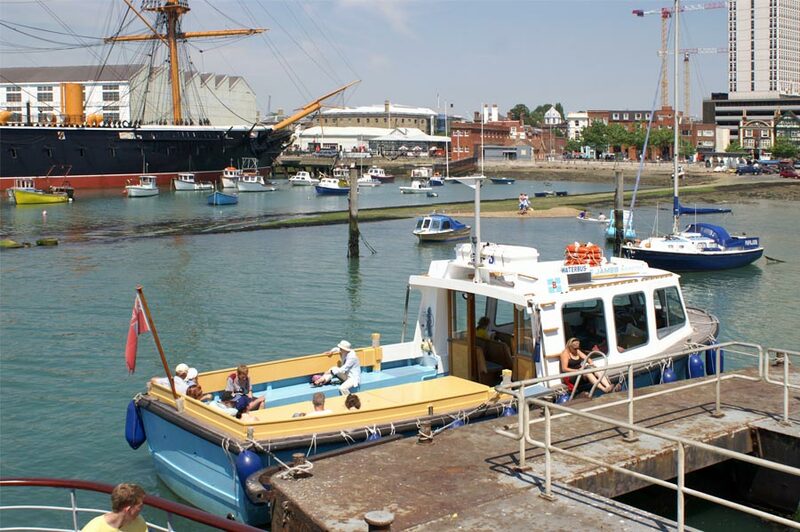 All boats received a pale blue livery - they are often referred to as the "Blue Boats".The Portsmouth Harbour Ferry Company (PHFC) initially joined this consortium, using two Blue Boats of their own, the Solent Prince and Solent Princess. PHFC left this consortium in 1996. 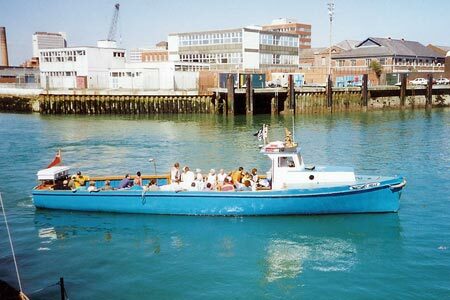 Stan Gale operated from the beach in Southsea and had a long launch with a half fore cabin and round stern called Gondolier. He also had two other launches which were called Duchess and Princess. 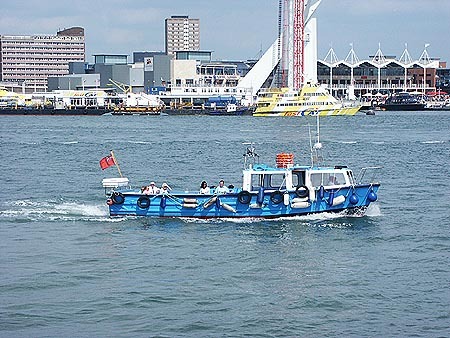 Another source remembers three boats that operated from the beach, Skylark, Duchess and one with a rounded bow named the Minoru. Minoru is listed in Trip Out 1977 as owned by H.A.Butcher. 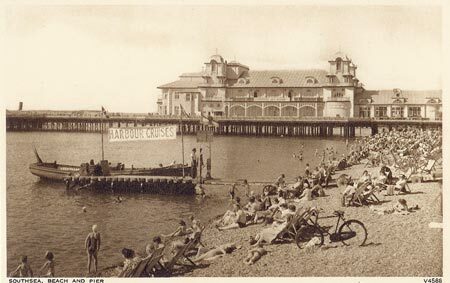 A Mr. Knopp of old Portsmouth also operated from near the South Parade Pier. 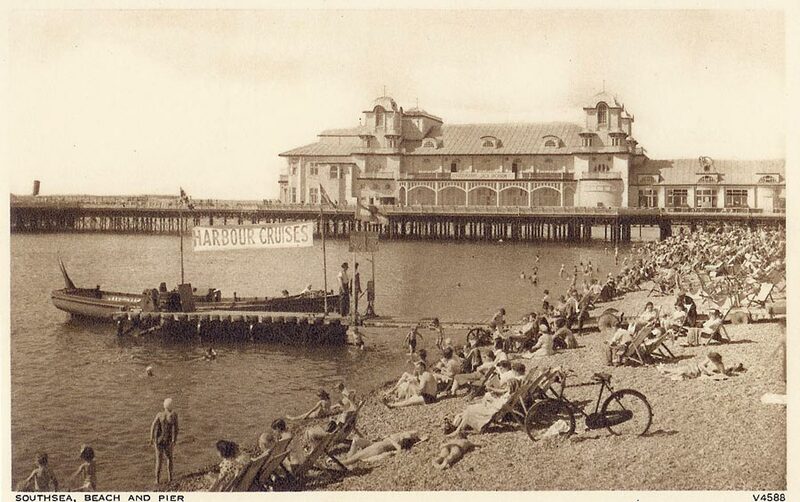 Postcard of unidentified Harbour Cruise boat at Southsea. 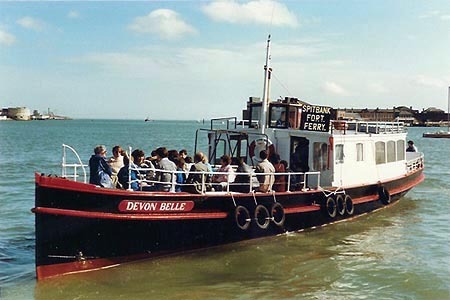 Devon Belle photographed in 1987 on cruises from Portsmouth to Spitbank Fort.